As much as i’m inspired to venture further out to the “ang mo” countries, I have been traveling within Asia for the past 5 years. Let's see... 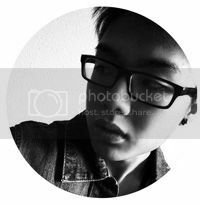 I have traveled to Malaysia, Bangkok, Krabi, Phuket, Brunei, Hong Kong, Shenzhen, Vietnam, Batam, Indonesia (Surabaya), South Korea, Malacca, Taipei and now Bali. Not to mention that I have already bought tickets to Taiwan for next week. The only “ang mo” country that I went is Australia and that’s for work, not holiday. I felt like I just need Japan to complete my Asia tour. LOL Other than Japan, the other place i would want to visit in Asia would be Yogyakarta. Let’s see if I can fulfill my “Asia tour” in 2017. 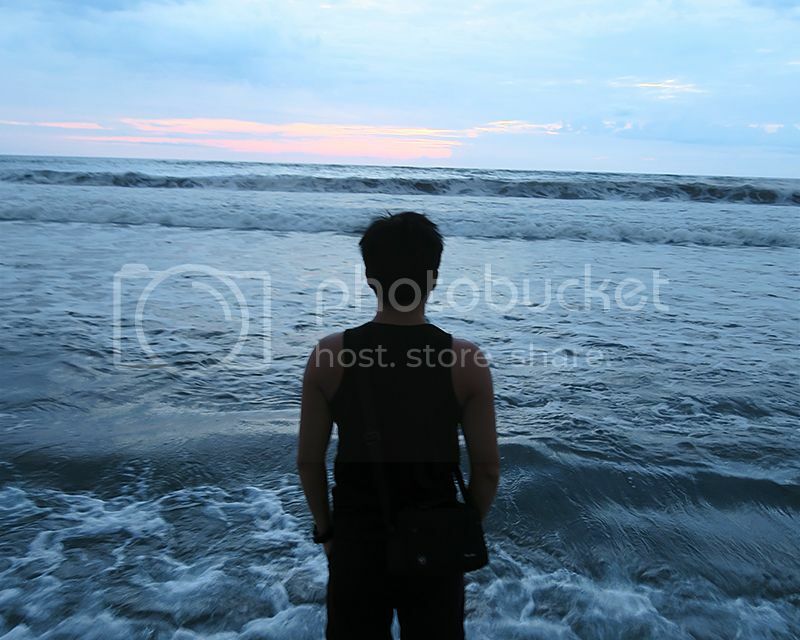 It took me awhile to decide how I want this Bali travelogue to be. I was thinking between the “traditional” way of blogging it day by day or the recent method of doing it like my BKK travelogue “Visit, eat, go” (or maybe “eat, pray, love” since it’s Bali hor, lol) Anyway I have decided for the latter since people don't really spend time reading long blog post nowadays. I bought the air tickets at the beginning of the year because Jetstar had a sale and I realized the thing about buying your tickets early is 1. It's cheaper and 2. It gives you something to look forward to. My return tickets on Jetstar only cost me $250 with 7kg bring on luggage. Nothing much to pack/ bring anyway. Just some light clothing, beach wear and toiletries. With the 7kg carry on board allowance, you can simply bring a small luggage or bag pack. If you have yet to plan your itinerary, you can even ask your driver to suggest places and attractions to visit based on your interests or even plan an itinerary for you and give you a special “all-included” price which literally means everything will be included - admission fees, meals etc. It’s definitely not gonna be cheap but if you and your friends are those that wants to keep it simple and fuss free then you might want to consider. I heard that you can literally order anything off the menu at those places that your driver brings you to for meals. Last but not least, on days where you don’t require a driver (or don’t have a driver) you can always fall back on Grab and Uber and unless you are very good with large denominations, you can always pay via card. The only con is that as tourists, we are not familiar with the roads so it feels a bit dangerous, especially at night when it’s dark and the driver takes short cuts into dark alleys and such, but so far for my trips, the drivers were all quite friendly. It’s also cheaper compared to local taxis. GrabCar/ Uber cost only a few bucks for a short trip. Also keep a look out for local promo code, sometimes the trip might even be free! 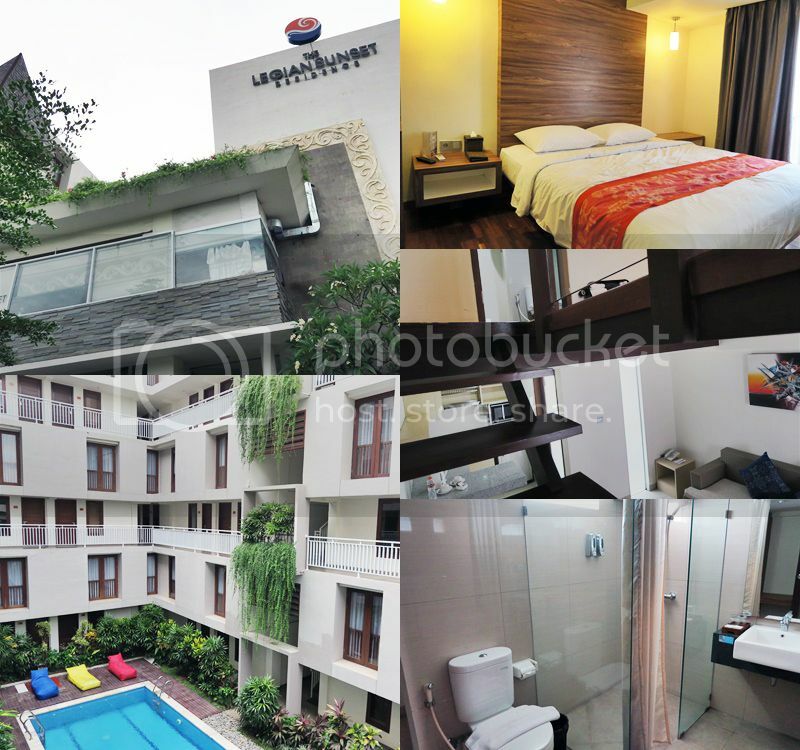 You know how people say you must book a villa when you are in Bali, have your own private pool, personal space blah blah blah but no matter how i think about it, it’s not really practical for 2 person to live in such a huge villa and these villas are usually situated at some exclusive corner and not very accessible. It also depends on how much time you spending in the villa. If your itinerary is packed like mine and will only return late at night just to sleep, then technically a room will suffice, not a huge villa with a few rooms (every night sleep different room ah? LOL) BUT if you are traveling in a group, then it make more sense. So it really depends on what you want/ need. 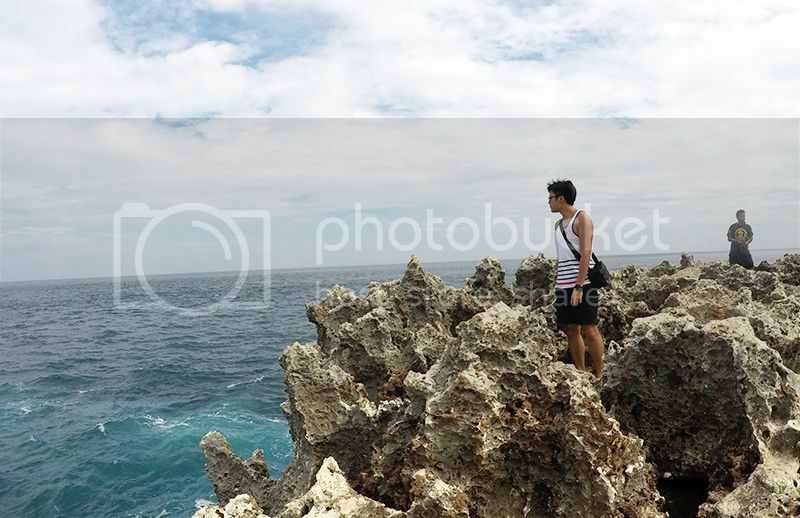 Before even coming to Bali, i did my prior research on the places that i should/ want to visit. Did my research online as well as ask my friends for recommendation. One tip i would highly encourage would be to search for blogs online and read on what bloggers (like myself) share on our trip. Use keywords like " the country", "travelogue", "blog" and to get the more recent and updated ones, just add in the year "20xx" So for example, "Bali travelogue blog 2016" I'm sure you will get a couple of good reads within the top few results (which might be my blog! hahaha) These blogs are often very detailed and definitely aid in planning your trip's itinerary. Without further ado, the places i went during my 4D3N trip! Actually what's really cool or the thing that attracts people to Uluwatu is not really the temple, but the view that you get to see from the temple. 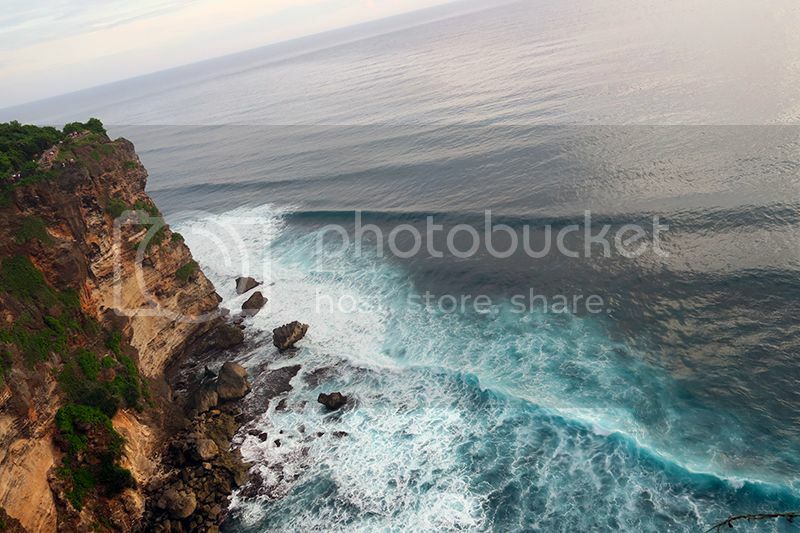 Just look at the above photo, from the clif, you get to see the vast sea from 70 metres above and huge waves crashing against the cliff. It's really a sight to behold. The serene feeling you get when you are up there (ignoring the crowd...) and it just makes you wanna stop and just enjoy the moment. Can imagine a not??? 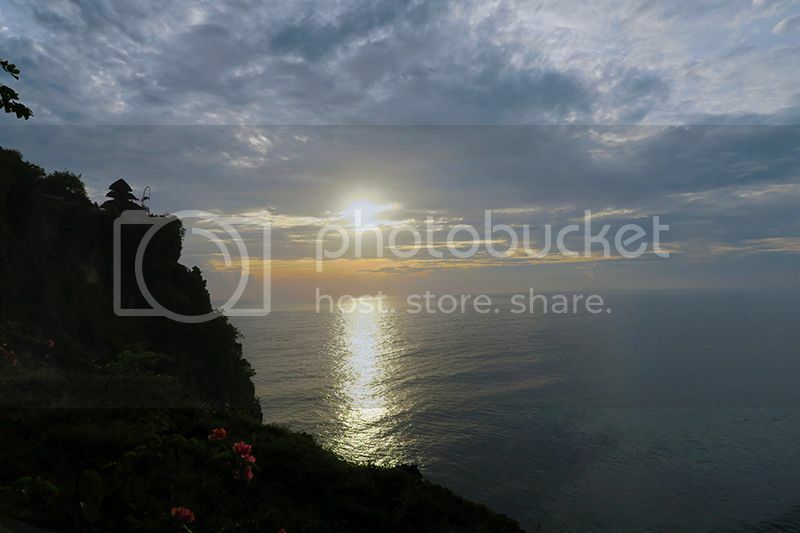 The peak period would be during evening where people will head to Uluwatu just to watch the sunset. The sky changes colour and you get to see the sun setting into the Indian ocean. Probably one of the best sunset you ever watched. 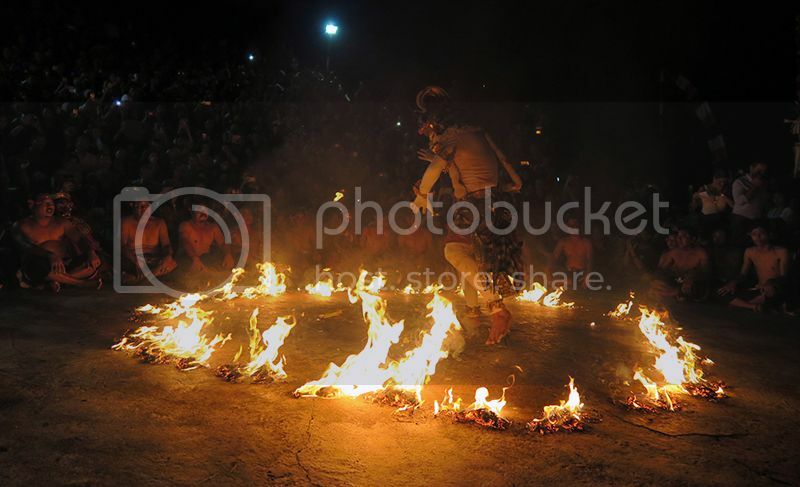 Between 6 to 7pm daily, you can opt to watch the "Kecak dance" performance. It's based on this Hindu story of Ramayana and the performance is accompanied by a group of man chanting with rhythm. They will sit in a big circle ring while the performance takes place in the middle. You can just google yourself what's the story about. (They did give a slip of paper that summarises what the performance is about though.) It gets really crowded so better be there early to secure a seat. 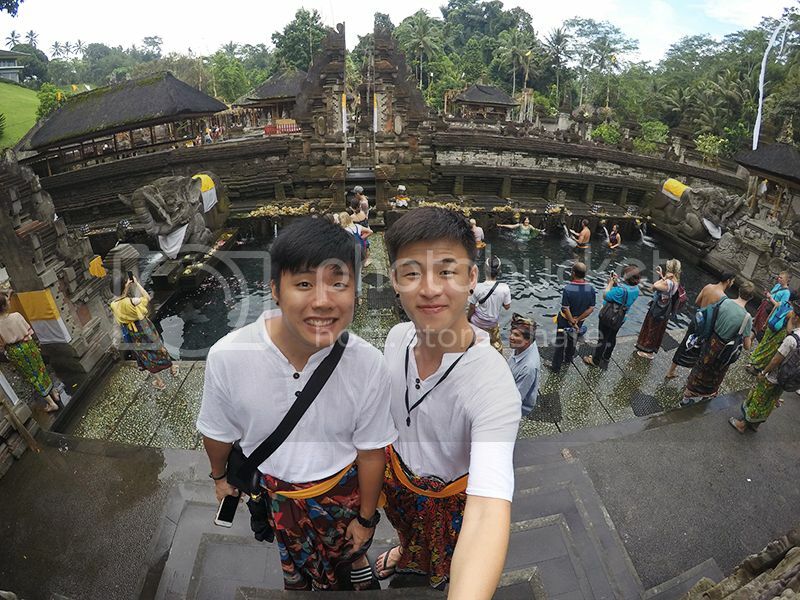 For this Bali trip, i planned a couple of temple visits in the itinerary to learn more about the culture and Gunung Kawi is one of the recommended temple to visit. 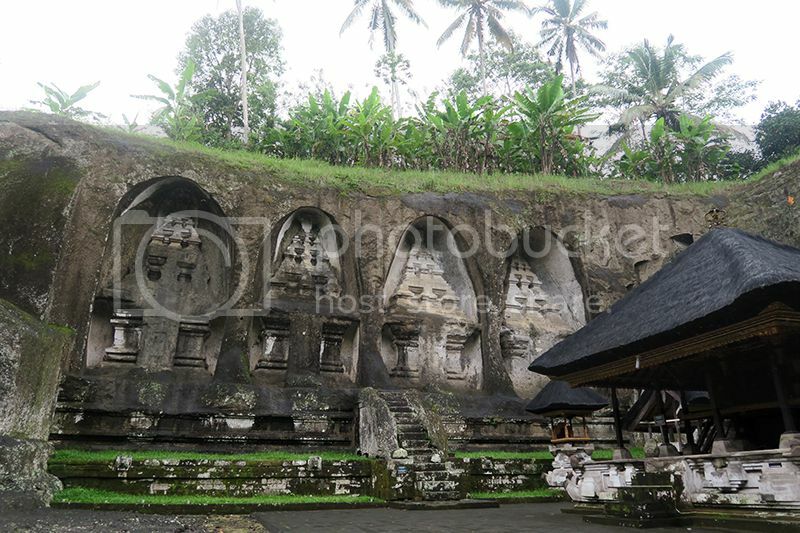 It's basically famous for their magnificent 10 rock cut "Candi" (shrines) craved into the faces of cliffs which you will see in the photos below. No idea how they did it but yea... quite impressive. Entrance into the temple cost RP15,000 and along the way towards the entrance of the temple, you will be "pestered" by a lot of aunties wanting to sell sarong cloth to you and since you will be needing them at the temple, you will be quite tempted to purchase from them. 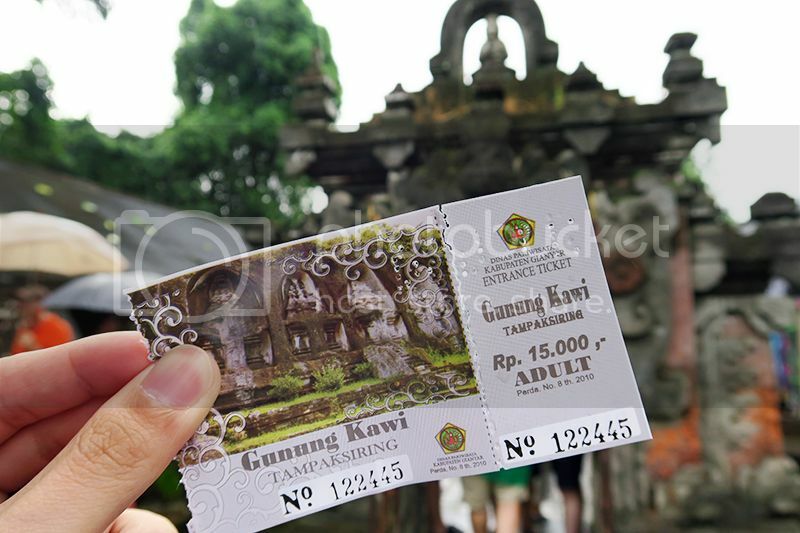 The price quoted at first can cost about SGD10 and dropped to as low as SGD1 when approaching the temple. They will even put the cloth over your shoulder and make you buy it BUT note that the rental of sarong is available at the temple and the fee is already included in the ticket price. Word of advice, better don't buy. The highlight of Gunung Kawi. 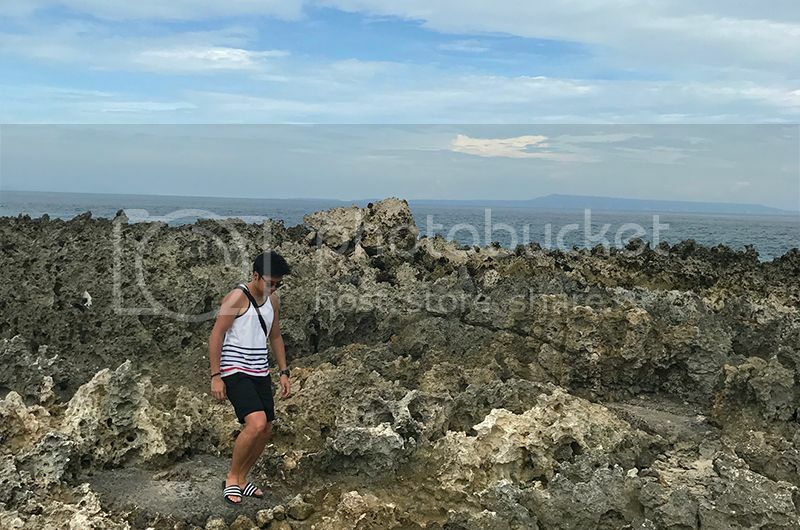 Honestly speaking, the visit to Gunung Kawi was really boring because we were roaming around aimlessly, not knowing what to look out for and there were literally no description of anything anywhere. Just went around taking photos with the interesting buildings and structures like the one above. 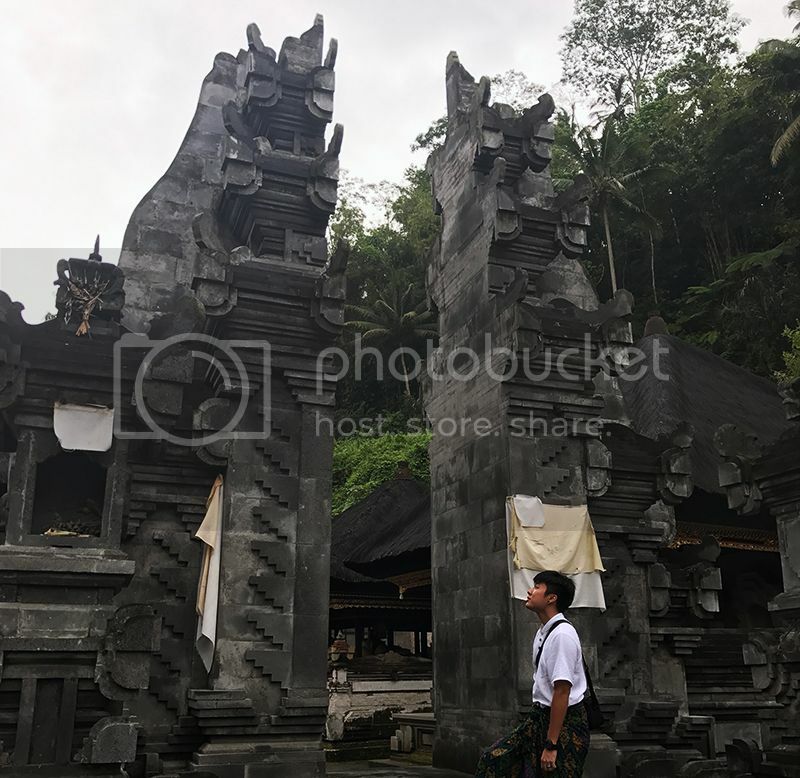 Anyway in Bali, you will get to see a lot of these entrance structures everywhere and they are known as the "Candi Bentar" meaning split gates of the temple entrance. They are two halves of a solid, elaborately carved tower cut through the middle, each half allowing separated to allow entry into the temple. I went to research on it online because i was quite curious what it is. 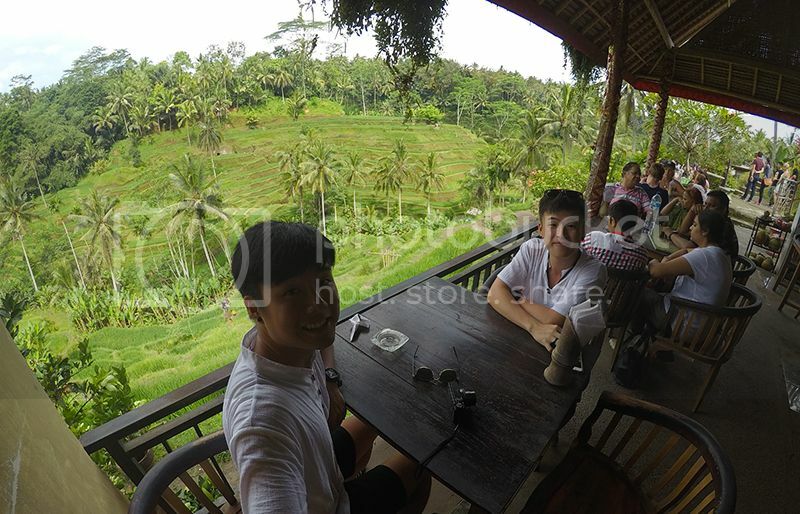 Visiting Bali's famous rice terraces is like a must go for first timers to Bali. The tegallalang rice terraces are located at Ubud, which is another part of Bali and the view is magnificent. You will definitely be wow-ed by the uniformed steps and how green the place is. It was drizzling that day so i did not managed to trek down but it's not like i really want to, LOL. But the kids there will be most willing to guide you down as they are so familiar with the area and where/what to look out for even if it's wet and muddy, and in return, they hope you can buy their handmade souvenirs or tip them. Ordered a portion of banana fritters and it was so hot and crispy. So simple yet delicious. Before i go on with this temple, i just wanna to mentioned that after my experience at the previous temple (Gunung Kawi) was basically roaming around aimlessly not knowing what to look out for + learning nothing. 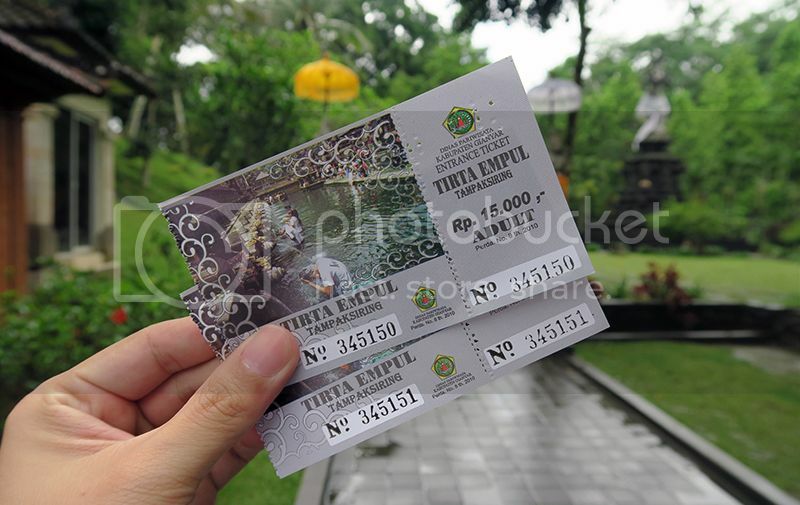 We decided to ask for a guide for Tirta Empul and i felt that it was so worth it! Managed to get an english speaking guide (not awesome english but good enough to understand) and he guided us throughout the temple, explained the significance and history of certain areas/ monuments and even offered to take photos for me throughout the photo-worthy spots! I learnt so much more and it was so interesting. At the end of the "tour", i tipped the guide and thanked him for his service. Worth it. At the temple, you will see tourists getting into the pool and cleaning themselves. Our guide told us to wash our face with the spring water for good luck. LOL Apparently we can also drink to "purify" our body but we only knew of it when we left the pool -_- Why no tell us earlier... So basically this pool is the main highlight of the temple. Shall not go into the rest of the details as you should go there and explore the place yourself (with a guide) or read more about it online. Being in the aviation industry, i get very fascinated when i see planes and when i was on the way to Ubud, i passed by this random huge Boeing 737 plane just right beside the road, like smack right in the middle of the houses. I wanted to see it up close (and also see if i can take any insta-worthy shots, lol) so i told Agus to drop by the plane on the way back from Ubud in the evening. 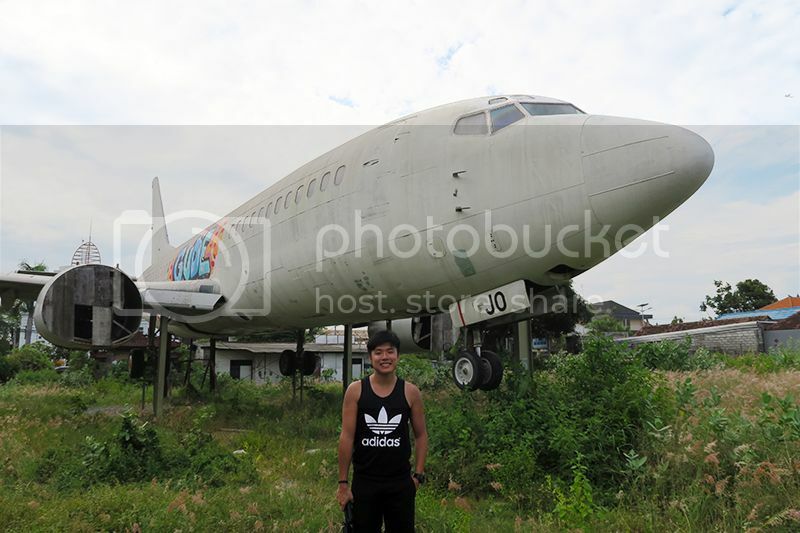 In the car, i took out my phone and started researching on this abandoned plane and found out that this is 1 of the 2 abandoned planes you can find in Bali. Apparently there were rumours of plans to convert it into a restaurant or cinema but the plan never really did go through. No idea how it was transported there or since when it was there but apparently it can even be seen on google map (LINK) Quite fascinating isn't it? It's like out of nowhere. Houses were built around the plane and the area is actually surrounded by metal frames but that didn't stop people (like me) from accessing the area. I read that couples even come here to take their wedding shots. I mean how often do you get a real plane in your wedding photos, lol. If you are at Kuta area or on the way to/back from Ubud you might want to consider dropping by this area to see the plane :) I learned that the other plane is at south Kuta, near Padawan Beach. Don't think it's exactly accessible but apparently for the other one, it's much more open and you can even go inside. No trip to Bali is complete without visiting one of their famous beach club! 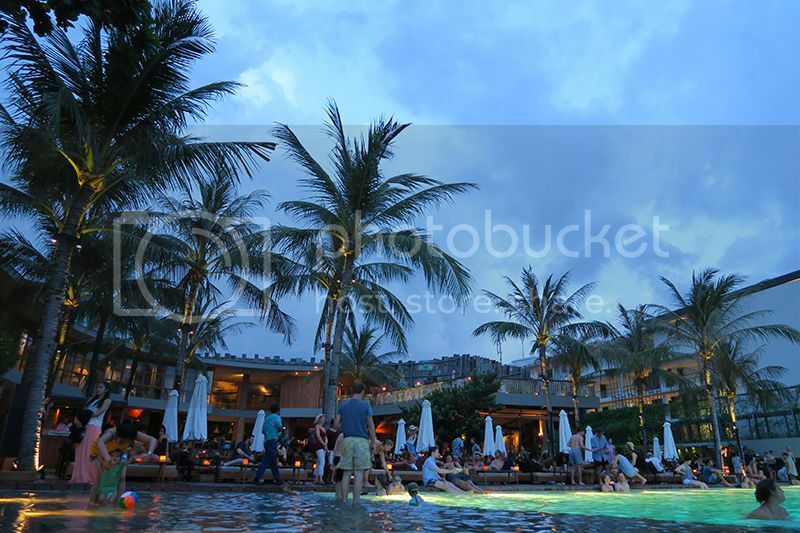 The more famous ones are Kude ta, Azul and not forgetting Potato Head beach club! 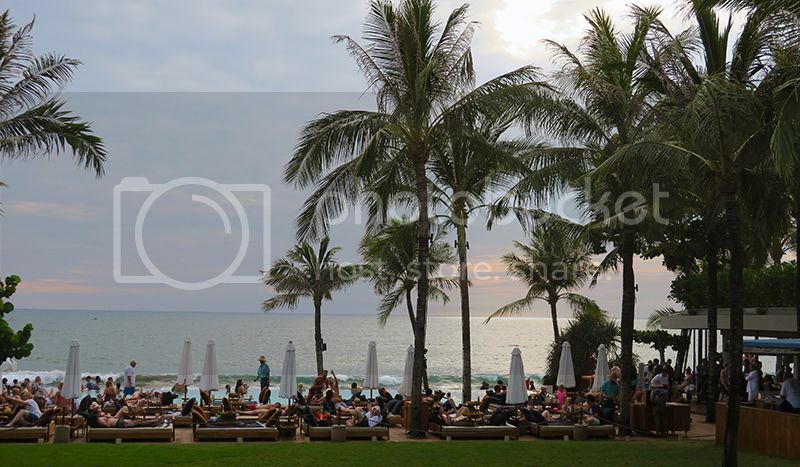 These clubs are facing the sea so obviously they tend to get crowded when it comes to early evening as people would just want to relax, sip on some drinks, lay back and enjoy the beautiful sunset. After your drinks, you can just walk down to the beach to take a stroll. Listen to the sound of the waves (which can get quite high) and just enjoy the moment like everyone else. 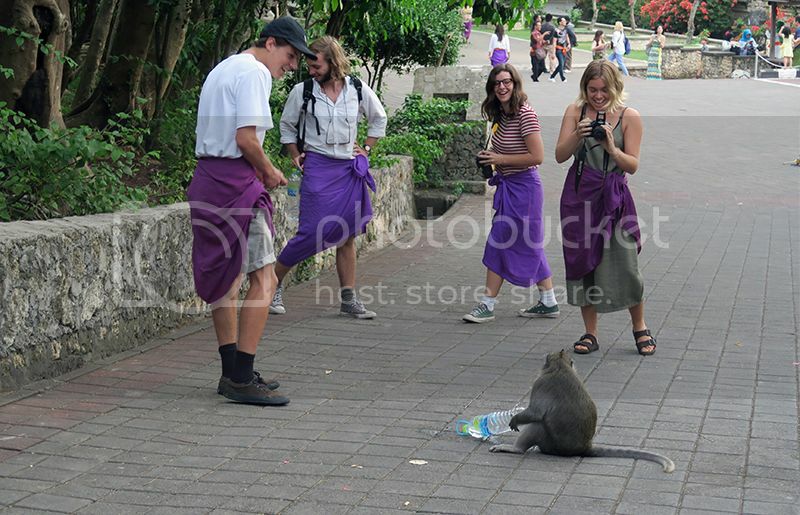 This is definitely one of the highlights of my trip to Bali. When the skies turned dark, that's when the party really starts! Do note that theses clubs are usually occupied by 80% ang mo (foreigners) and everyone is really friendly. Did not stay to party though since I'm not a party person so we went to have dinner and after which, massage! When planning your Bali itinerary, try to plan at least one beach club in the evening to chill by the beach. 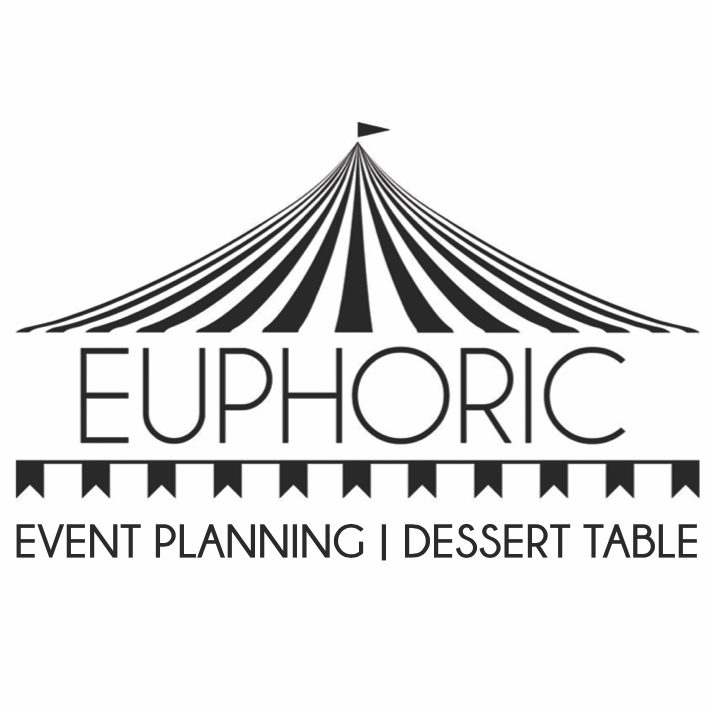 If you are not into noisy party scene, you can still go to those more private ones. 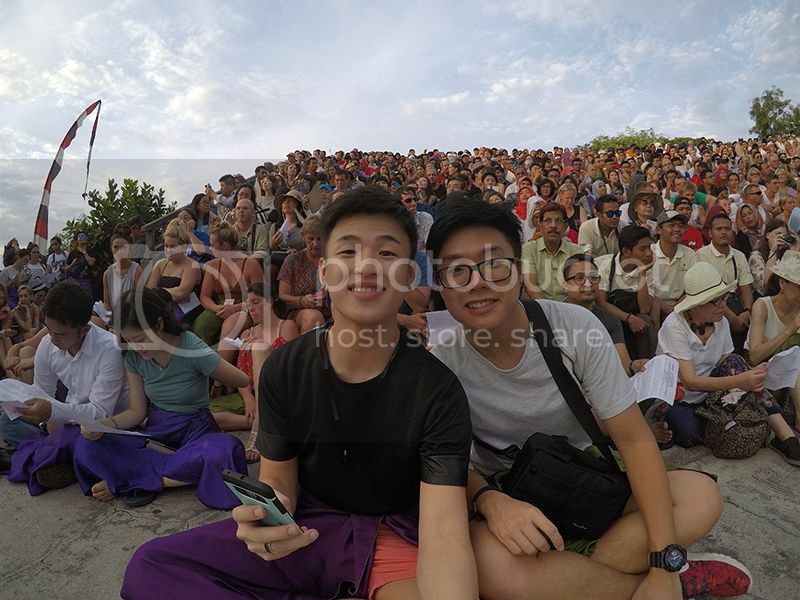 That's all i have for part 1 of my Bali travelogue! There are definitely more places to visit in Bali which i did not cover but these are the ones i managed to cover during my 4 days in Bali. 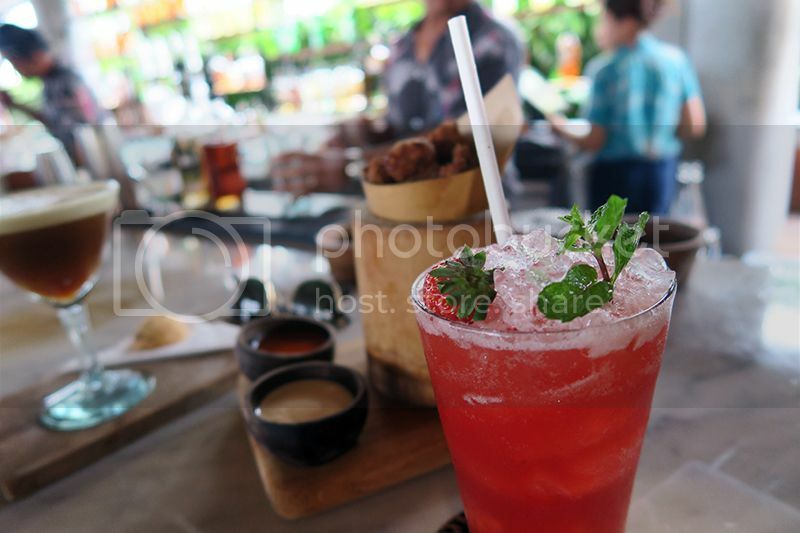 In the next (and final) part, i will be sharing more on what to eat and what to do in Bali! So do look out for it! On a side note, taiwan next week! So excited! !